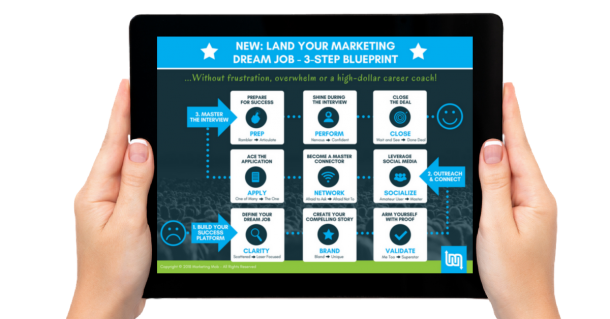 Without Frustration, Overwhelm or the Need to Hire a High-Dollar Career Coach! Success! Your download and training will be available on the following page. Get crystal clear on what you seek, systemize your search and complete the puzzle. An easy to follow system that works for virtually any marketing professional. The system includes frameworks, cheatsheets, checklists and templates. Define your dream job, create your compelling story and arm yourself with proof. Leverage social media, become a master connector and ace the application. Prepare for success, shine during the interview and close the deal. 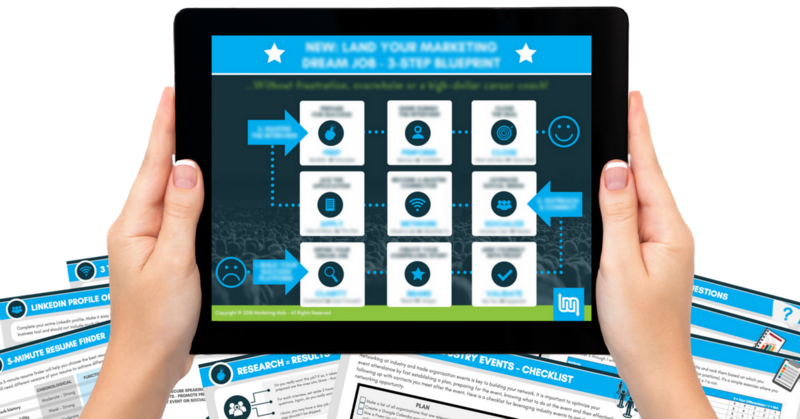 This Land Your Dream Job 3-Step Blueprint is an overview of a greater journey. Go from feeling powerless and reactive to being proactive and taking charge of your path. More than 20 done-for-you frameworks and training videos to walk you through every step of the way. Join this elite community of jobseekers who also want to choose their own destiny. ACCESS THE BLUEPRINT & TRAINING HERE!